Tree-shaped tower that can be accessed by an inclined ramp with little trunks and a rope. 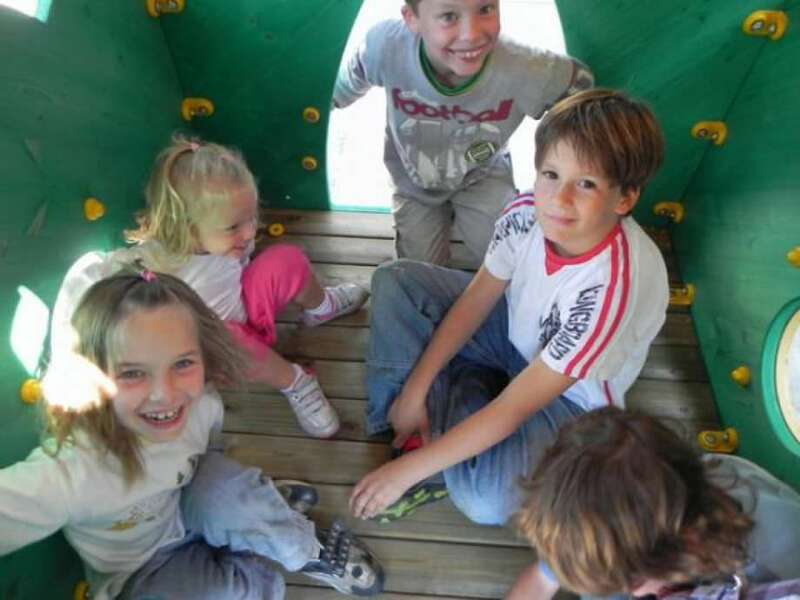 The 100cm high platform has a large surface area of 1.6 square meters allowing 4-6 children to play at the same time. 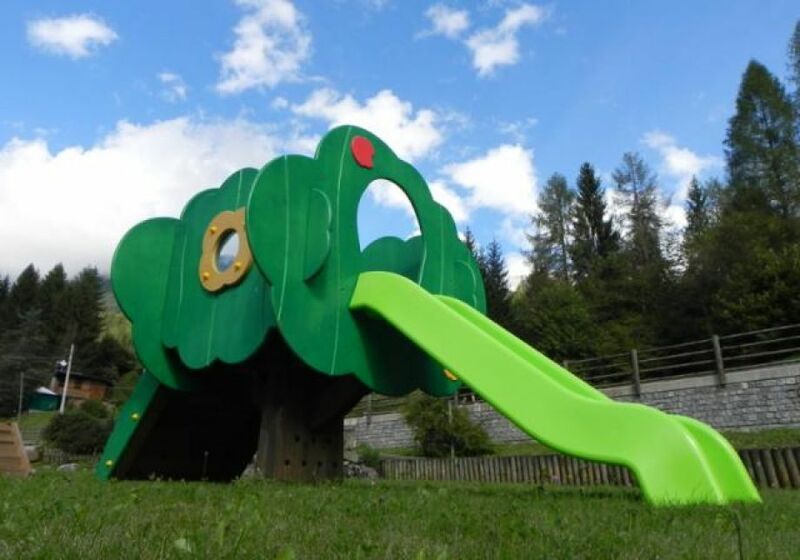 The polyethylen slide is 210cm long. The trunk section is made of laminated wood 18x50 cm with 9 cm thick branches. Ground connection by a galvanized steel bracket which keeps the timber lifted off the ground. The raised platform is composed of laminated beams section 9x9 cm and 3.5 cm thick planks. 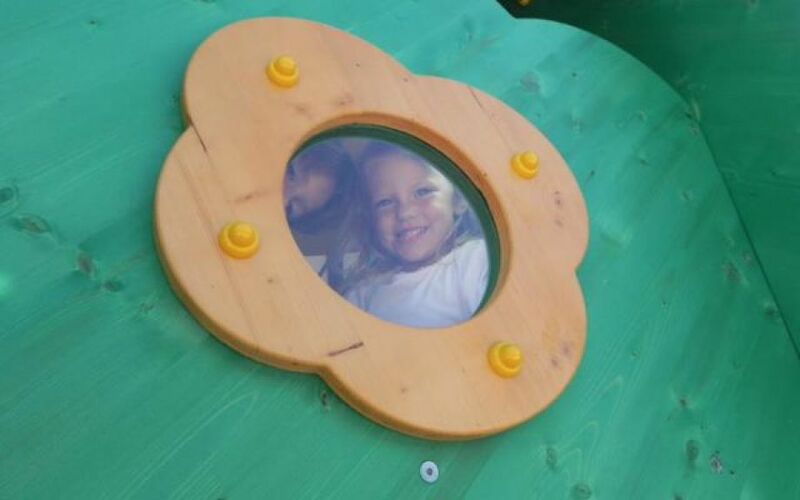 The panels that make up the crown are made of laminated wood thickness 27 mm with decorations and windows. 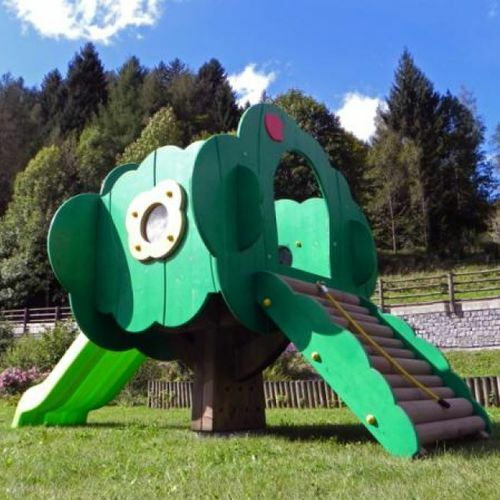 The colour of the game is specifically designed to be inserted correctly into the natural areas of public parks, schools and parks. 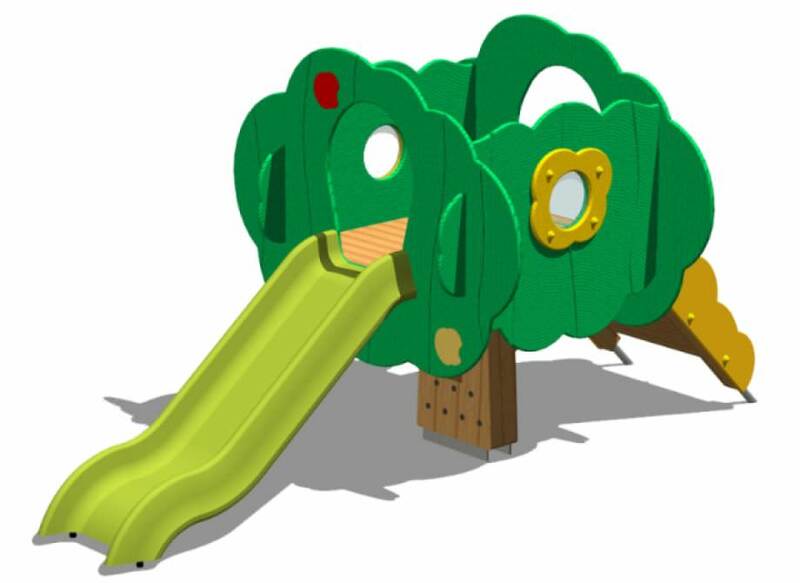 All wooden parts are made of FSC- PEFC certified Pine or Silver Fir wood, according to the EN 35 standards. Pressure treated with water repellent EXTRA-COAT and UV protection and ecological water-based coloured paint . Complies to EN 1176.